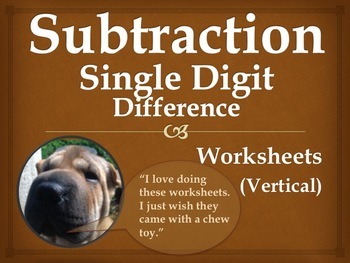 Single Digit Subtraction Math Worksheet Packet (15 pages). 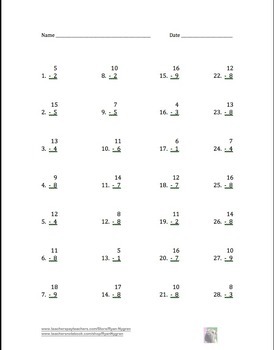 This is a pack of 15 Single Digit Subtraction Worksheets. Each page has 28 problems written vertically. There are 4 columns and each column has 7 problems. 4 pages with a mix of all of the above. They were created by Ryan Nygren. 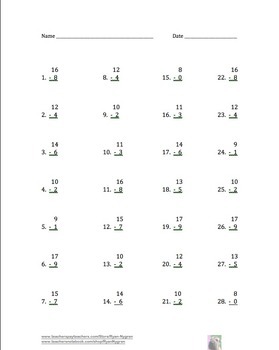 Check out some other single digit addition and subtraction worksheets.